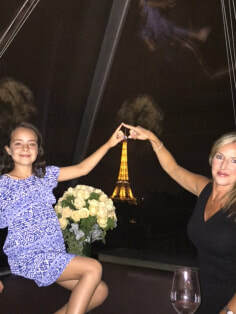 August, 2015: I was in Paris, delighting in finding a champagne bar at the top of the Eiffel tower, and blissfully celebrating my 43rd birthday with my husband, son, and daughter, who was turning 10 the same day (we share a birthday down to the minute). I returned home from this epic trip, refreshed and ready to return to my life, the kids’ school year, my beloved neuropsychology practice, colleagues, patients, friends and family. I had, by all measures, everything I could have ever wanted and then some. Having initially been diagnosed at Stage 4 and being told I had an average prognosis of just 3 years to live, I dropped to my knees when we received the miraculous news weeks later that it was not in fact in my bones. I was upgraded to Stage 3C, and given a chance at a cure (two years later my cancer did metastasize to my abdominal lymph nodes). The gratitude that washed over me was indescribable. Having had to prepare myself for an early death and to say goodbye to my small children, and then suddenly being told I may have a chance at a cure – left me stunned and feeling like I had one foot in and one foot out of this world as I tried to assimilate this trauma and new information. I started noticing how amazing small, ordinary moments can be, and also see the love and humor in almost every situation. It was always, and had always been right there, all around me, all the time. You just have to tilt your head so to speak, the way you look at things, the tiniest bit and you can see it so clearly. Well, cancer gave me my head tilt. I am hoping to give you yours. Welcome to The Cancer Couch. 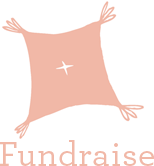 It is not only a foundation and a movement to create awareness for metastatic breast cancer, but also a blog about my journey with cancer – the good, the bad and the ugly. Sit down, read, laugh, share, and enjoy. I have since been re-diagnosed at stage 4 - this time for real. So stay with me as I go through this scary, but necessary, journey to not only survive my cancer as long as I can, but to continue the work and awareness that needs to be done to help everyone living with Stage 4. As long as I am alive, I will keep fighting for all of us to have a chance at a cure. No one is really “cured” until mbc is curable.